After my awesome burst of scrapbooking over National Scrapbook Day - I needed a change of pace. I went back to my craft closet and pulled out my *almost* finished Christmas quilt and decided to bind it up. Isn't it wonderful?!? I adore this quilt. I've been working on it slowly since I bought the fabric, right after Christmas (I got it on major sale) This is most difficult quilts I've made - probably because I didn't use a pattern, I just made it up as I went along. I am in the process of creating the pattern - but it's a lot of math, which isn't my favorite part about quilting. The final size is about 45" x 45", although I should probably measure it again to make sure. I had so much fun quilting this top. 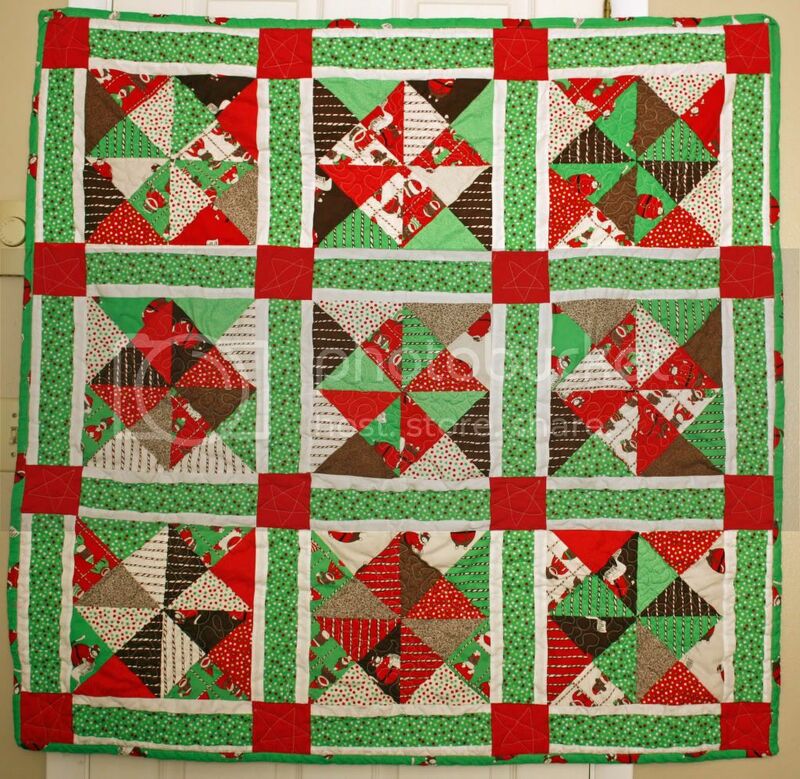 I knew when I added the red squares, that I wanted to quilt stars in them, but as for the rest I was kind of lost. For the borders I ended up with a loop-de-loop pattern and then did stippling (random curved lines) on the inner diamond shapes. 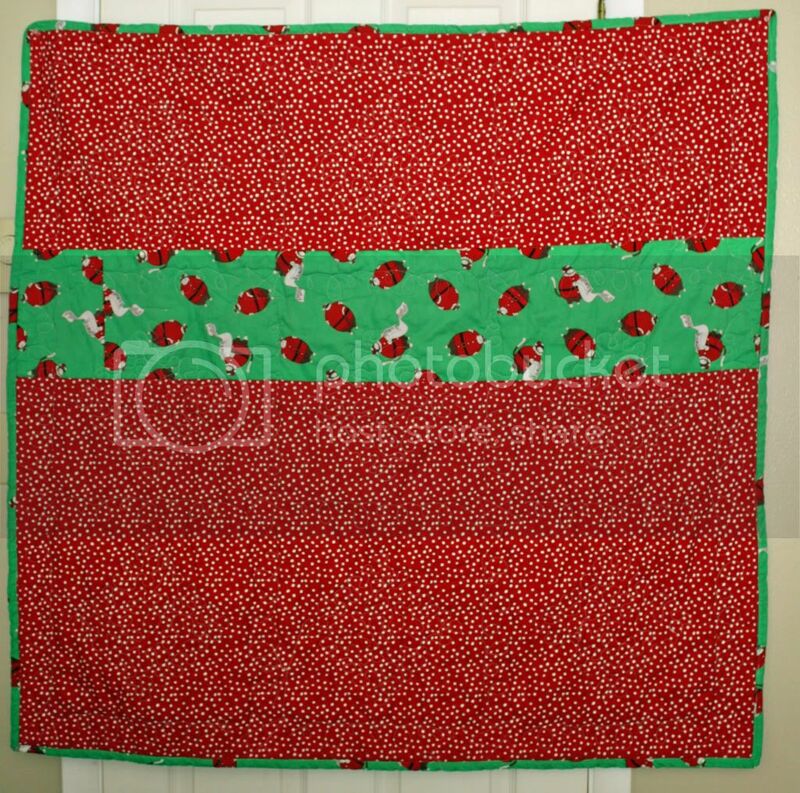 I wanted the center of each square to look like peppermint candies. I'm a little sad that I have to wait 7 months to pull this back out of the craft closet to actually use, but it will certainly liven up the couch during December. Oh Holly this is lovely! Your living room will look amazing come December.